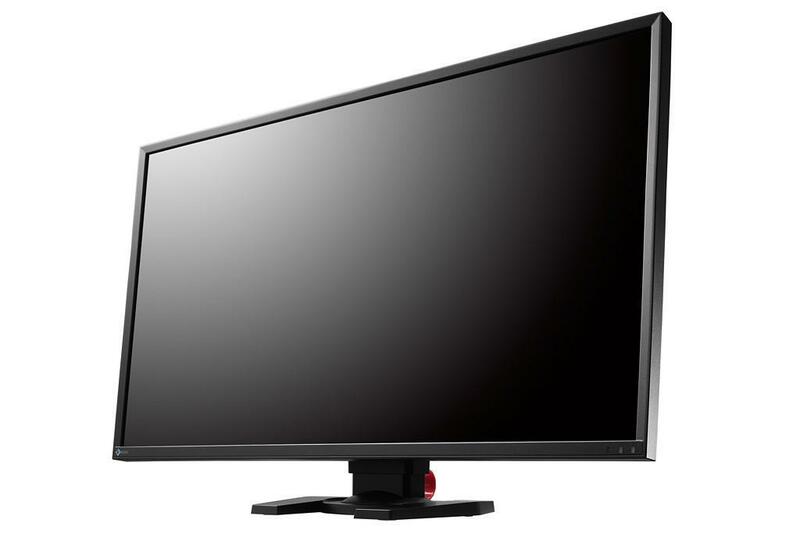 The Eizo FS2434-BK is a stylish gaming monitor designed for the professional and serious gamers. Besides delivering a crisp and vibrant image quality and a highly responsive performance, it offers you a plenty of customizable features which will significantly improve your gameplay experience. Moreover, it has an ultra-thin and a highly ergonomic design which makes it ideal for the multi-display gaming setup. The Eizo Foris FS2434 PC monitor surprised us all with its exceptional image quality which is better than the most gaming monitors out there have. The IPS panel delivers accurate, consistent, and vibrant colors which make the picture overflow with details. In addition, the Full HD 1080p resolution on a 24-inch screen ensures crisp and sharp picture quality. Whether you’re gaming, designing, or just web surfing, the Eizo FS2434 provides you with a bunch of customizable settings, features, and picture modes for the best viewing experience. It’s not only the image quality that surprised us but the quick and responsive performance as well. The marketed 0.05ms input lag seemed a bit too ambitious, but once we tested it, there was virtually no lag whatsoever. The input lag is the time the signal takes from your commands to be displayed on the screen and plays a critical role in the fast-paced FPS games by allowing you to react faster than your opponents. Moreover, the quick 4.9ms response time eliminates ghosting of the fast moving objects which in addition to the Blur Reduction feature allows for the flawless FPS gaming experience. You can also play for hours to an end thanks to the flicker-free screen at any brightness level which will ensure that you don’t strain your eyes when playing the long gaming sessions. The Eizo FS2434 IPS display has a several more features which will give you the edge over your opponents in competitive FPS games. The Smart Insight 2 feature increases the brightness and color saturation in dark scenes where the shadows blend in. In return, you’ll have a picture with clearly visible details in dark parts of games. There are five adjustable profiles of this feature available. Furthermore, the Smart Resolution improves the visibility when playing lower resolution video games or watching videos. This feature also has five profiles. You won’t have to manually turn on these features whenever you need them; instead, the Smart Detection takes care of that for you and applies these features when the need for them is detected. One of the most exciting features that the Eizo FS2434 monitor offers is the G-Ignition software. This feature allows you to adjust all your OSD settings in a desktop application rather than by the OSD buttons. In fact, there are no OSD buttons for the menu navigation at all, you can either adjust the settings via the application or via the small remote that you get along with the monitor. This remote can be used to quickly swap between the input sources, adjust volume, adjust picture settings, etc. The G-Ignition software also allows you to import and export color profiles. At the G-Ignition Drive, you can find color profiles made by the professional gamers or profiles made for specific video games. Simply downloaded them for free, import them, and see what the professionals see; you can even take this feature to your advantage, and further optimize the professional presets to your own preference. There are also several well-optimized picture presets available including User 1, User 2, Game 1, Game 2, Cinema, Web/sRGB, and Paper. The Game 1 profile is for the dark themed games, while the other Game mode is for those with light scenes. 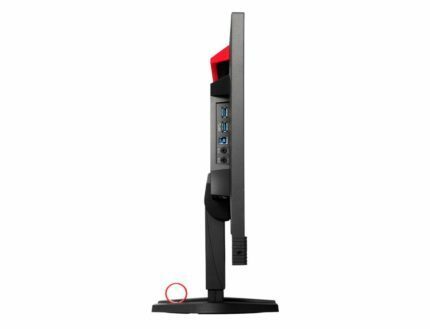 The design of the Eizo FS2434 monitor includes the ultra-thin 6mm bezel at the sides and at the top which makes it ideal for the multi-display gaming setup. Although there is an inner bezel as well, it is only about 2mm wide and barely noticeable. The cabinet is black and covered with a matte finish making the monitor look modern and clearly intended for gamers. As far as ergonomics are concerned, the monitor can be height adjusted by 60mm, tilted by 25 degrees, and swiveled by 344 degrees. It also features a built-in handle for easier transportation. There are two HDMI ports, and a DVI port at the back of the monitor in addition to two downstream USB 3.0 ports, one upstream, an audio line-in, and an audio line-out ports. At the side, you can find yet another audio line-out port which is conveniently placed for the headphones. The built-in speakers have only 0.5W each and provide a mediocre sound quality but they’re still nice to have around as the backup speakers. More importantly, thanks to the extra audio ports, you’ll be able to effortlessly connect your gaming console and some external speakers, for instance, hook them up to the monitor and enjoy the full multimedia experience. 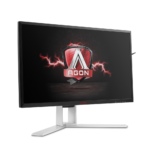 At the moment (March 2017), the Eizo FS2434 1080p monitor can be obtained for around $400, but they get sold pretty quickly. 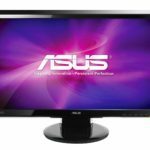 When purchasing monitor at this price point, the biggest dilemma is whether to go for a 60Hz or a 120Hz+ monitor. The latter will undoubtedly provide you with a smoother and faster FPS gameplay, but the picture quality won’t be anywhere near as brilliant as the one on a 60Hz monitor, at least at this price range. Moreover, the higher Hz monitors require more powerful computer equipment. All in all, the Eizo FS2434 will provide you with both an amazing picture quality and a fluid gameplay without requiring a demanding rig. It’s also important to note that the Eizo FS2434 comes with a five-year warranty. 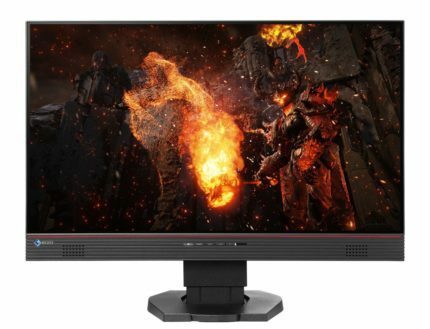 The Eizo FS2434 display has everything a competitive gamer might desire including the extremely low input lag, quick response time, and exclusive features for the improved visibility in dark scenes as well as for the motion blur reduction. Moreover, it delivers a crisp and vibrant picture quality with the impeccable viewing angles of 178 degrees and numerous image quality adjustment options. The design is quite unique and versatile, and the extra remote and the G-Ignition software are just an icing on the cake. In the end, the Eizo FS2434 is the best choice for the competitive and professional FPS gaming before the 120Hz+ gaming monitors, depending on your computer gear and whether you prefer a better image quality or a more responsive gameplay. For a reasonable price, the Eizo FS2434 monitor does it all. The Eizo FS2434 offers everything a gamer needs: the exceptionally low input lag, quick response time, a dark visibility feature, and motion blur reduction. Moreover, the design of the monitor is unique and versatile while the picture quality is nothing short of impressive.